Today, I’m going to do a quick movie review about a movie that I watched recently. 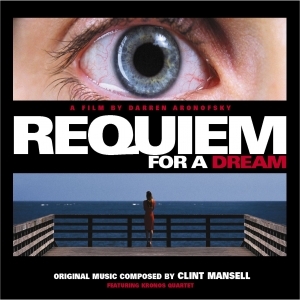 The movie is called Requiem for a Dream, directed by Darren Aronofsky (He is the same person who directed Black Swan). At first, I was little bit worried about watching the movie since it was rated R. However, after reading reviews on the internet, I finally decided to watch it. The movie basically shows the life of the main character, Harry Goldfarb, his girlfriend, Marion Silver, his friend, Tyrone C. Love, and his mom, Sara Goldfarb. The movie can be divided into two major scenes. One scene revolves around Sara Goldfarb, as she become addicted to diet pills and eventually becomes hallucinated. Another scene is about Harry, Tyrone, and Marion, who become addicted to drugs and starts to abuse them by becoming addicts. The movie not only talks about the unfortunate consequences of drug addicts’ life, but also the reasons behind taking the drugs. I found the movie very interesting because it vividly portrayed the four failed lives of four individuals and the negative effects of drugs. I found Sara Goldfarb’s case most interesting among the four since she risked all of her life on diet pills. Interestingly, Darren Aronofsky uses the media as the cause of Sara’s addiction. Since Sara had a strong desire to go out in a television show with a stunning appearance, she was “forced” to make herself skinnier in a easier and faster way. I think Aronofsky is trying to talk about anorexia, which is not that rare among girls these days. In the contemporary society today, medias such as magazines, television shows, and commercials are defining beauty as being skinny. This makes women, especially young adults, to become “motivated” to have a skinny body. Unfortunately, many of them rely on diet pills, which will eventually ruin our whole body, just as it did to Sara Goldfarb. After watching the movie, I learned to appreciate and embrace my body just the way it is. I also learned that there are no quick ways to loose weight instantly. Everything takes time and patience, in order to create a good, healthy shape. In conclusion, I thought the movie was well made and I highly recommend it. It taught me many lessons.